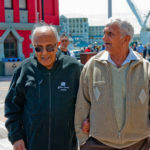 The Ahmed Kathrada Foundation strongly condemns US President Donald Trump’s recognition of Jerusalem as the capital of Israel. Trump tweeted that he has determined that it is time to “officially recognize Jerusalem as the capital of Israel” and that he would be directing the US State Department to begin preparations to move the American Embassy from Tel Aviv to Jerusalem. “The decision by Trump is an attempt to legitimise the illegal occupation of Palestine by Israel. The consequences of such a move is likely to end all attempts at peace talks between Israel and Palestine. 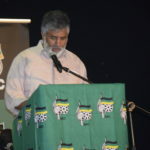 It will also embolden right-wing reactionaries who refuse to recognise Israeli occupation for what it is,” said Executive Director of the Kathrada Foundation, Neeshan Balton.